﻿ Bulgarian Green Angelfish Genetics Arrive in the US! Bulgarian Green Angelfish Genetics Arrive in the US! Angelfish carrying the coveted Bulgarian Green genetic have finally arrived in the US. 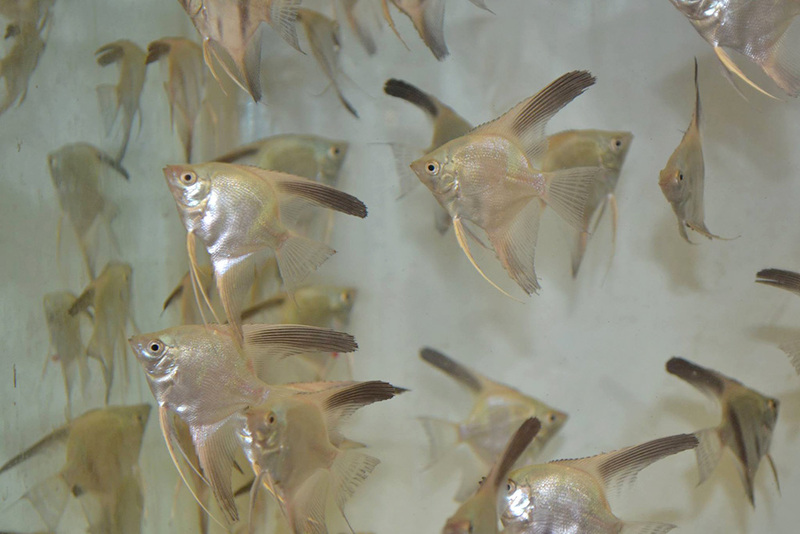 In what can only be described as the latest crowning achievement, Labell has successfully negotiated and executed the first importation of the newest Angelfish genetic mutation known to exist – the Bulgarian Green gene. The same Angelfish carrying the Bulgarian Green gene after a day of settling in following their arrival in the US. AMAZONAS Magazine first covered this emerging new Angelfish genetic variety in my Angelfish genetics article, published in the January/February 2013 issue (we’ve published an excerpt of this article online today as well). 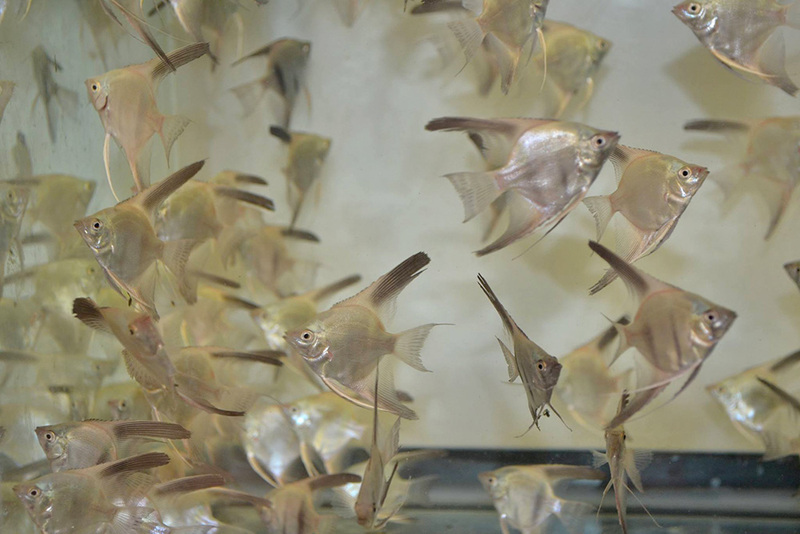 It’s amazing that in less than 2 years, this new form of Angelfish will finally start making its way through the tanks of domestic angel breeders around the country and beyond. 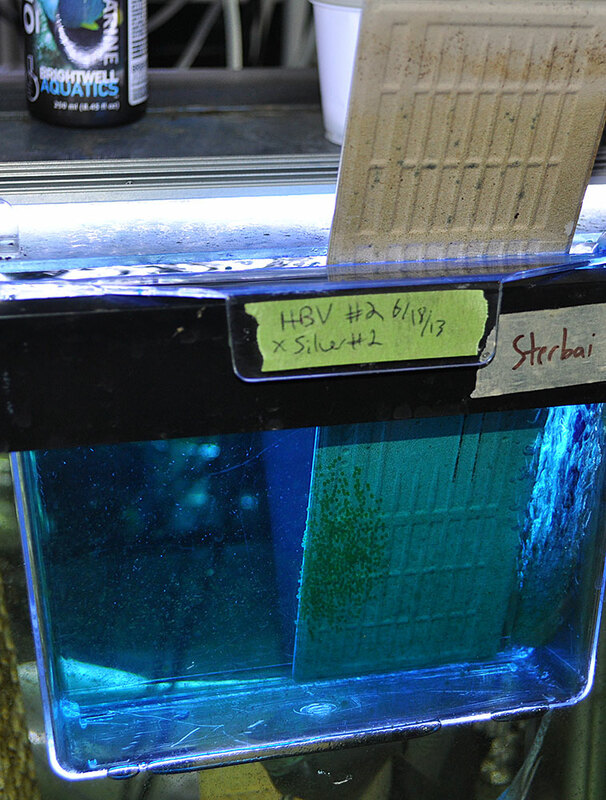 Much of Slavkov’s work with this new gene has been documented as it happened on the Angelfish forum, TAF-II. Such online documentation offers a glimpse of a world that in the past, few would have ever known. The real-time, world wide documentation of Slavkov’s Bulgarian Green project provides an unprecedented historical record documenting the emergence of what will surely become a highly coveted form of Angelfish in the years to come. This gene, currently using the abbreviation “bg”, is currently awaiting formal testing by breeders and thus, official canonization through The Angelfish Society. This will take some time, but the raw material is on hand and being quarantined at AngelfishUSA at this time. Another look at the young angelfish carrying Bulgarian Green genetics, fresh from their trans-Atlantic trip. Labell received an assortment of phenotypes and genotypes in his shipment from Slovkov, approximately 300 fish. 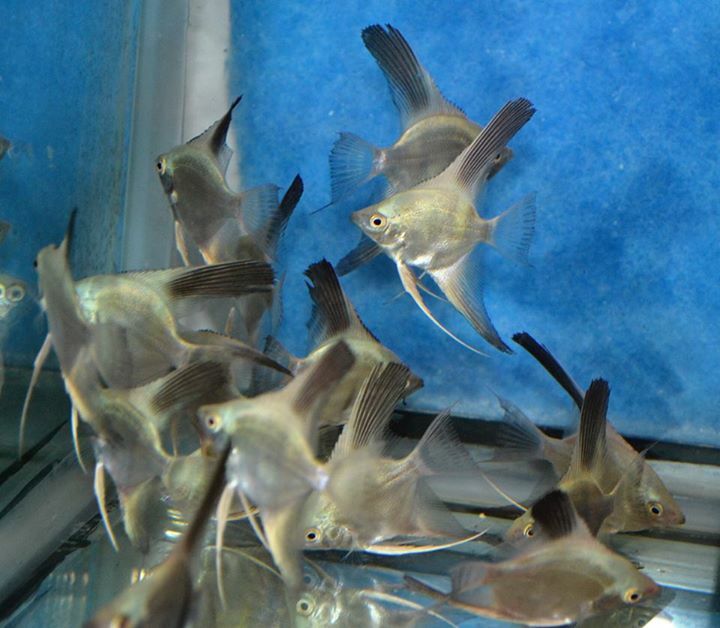 The layperson won’t care much for the next little rundown of genetic material, but any angelfish breeder will recognize that there is an entirely new range of Angelfish waiting to be created by our hobby. Box #3 primarily contained a small amount of the same, with the remainder being (pb/pb – bg/bg), said to look similar to the Platinum Angelfish, which is genetically a little bit different (g/g – pb/pb). It may take some looking back at Slavkov’s notes to determine which genotypes and phenotypes have been given names; at the moment the Bulgarian Seal Point name may or may not apply to some of these fish. This first shipment was small…3 boxes, 300 fish. The anticipated release date, if all goes well, is around October 20th, 2014, and Labell expects all the fish to sell out in a day or two. They will probably be sold in group packages vs. ala carte. Your best chance to get these fish is presumably to follow the Angelfish USA Facebook page like a shark trailing bait! AMAZONAS Excerpt: The Next Big Angelfish Gene! I am sure he is and will be very successful with this new variant. That said, none of this interests me. In fact I find altering fish from their natural habitat an abomination. The hobby has changed a lot since I first got into it around 1951. This sort of aspect of the hobby almost gets me to want to leave it. That is, because I am in the minority and most do not agree with me. Consequently I am pretty much a loner these days. This also means it is harder for me to find fish to my liking. To me, the most beautiful angel fish are those as found in the Amazon River. I am sure he is and will be very successful with this new variant. That said, none of this interests me. In fact I find altering fish from their natural habitat an abomination. The hobby has changed a lot since I first got into it around 1951. This sort of aspect of the hobby almost gets me to want to leave it. That is, because I am in the minority and most do not agree with me. Consequently I am pretty much a loner these days. This also means it is harder for me to find fish to my liking. To me, the most beautiful angel fish are those as found in the Amazon River.